Climate Censorship? Or Ongoing Public Waste? | Watts Up With That? Climate Censorship? Or Ongoing Public Waste? A Department of Energy email allegedly sent to biologist Jennifer Bowen, instructing her to remove the word “climate change” from her proposal, is exciting accusations of climate censorship. 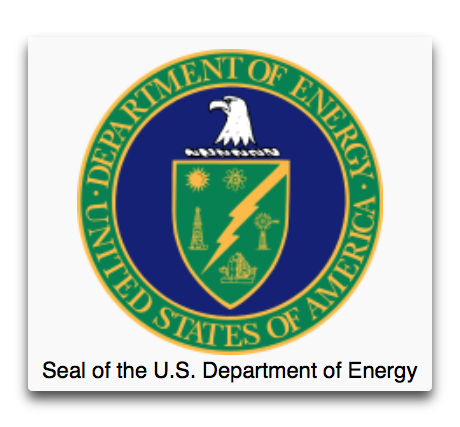 On August 24, the Trump administration’s Department of Energy censored a Facilities Integrating Collaborations for User Science proposal from Dr. Jennifer Bowen, an associate professor of biology at the University of Massachusetts in Boston. In the email, Dr. Bowen was told, “I have been asked to contact you to update the wording in your proposal abstract to remove words such as ‘global warming’ or ‘climate change.’ This is being asked as we have to meet the president’s budget language restrictions and don’t want to make any changes without your knowledge or consent. Below is the current wording for your abstract—at your next convenience, will you kindly revise the wording and send back to me as soon as you can? That way we can update our website.” The words “climate change” and “global warming” were highlighted for removal in the proposal. A version of Jennifer’s proposal appeared on the DOE website which doesn’t mention climate, but instead mentions carbon storage as a driver of “global change”. What a mess. DOE personnel allegedly helping climate fixated researchers to subvert Presidential policy, to keep the grant gravy flowing. Greens crying foul about the alleged bureaucratic censorship of the wording of grant proposals. If Jennifer’s email is genuine, frankly I think the whole programme should be shut down. If the email allegation is true, it is reprehensible that researchers like Jennifer are allegedly being pressured to change the wording of their research proposals for political reasons. But in my opinion, it is far worse that government bureaucrats are allegedly facilitating funding of disguised climate research programmes in defiance of President Trump’s budget priorities. When you consider critical issues like the pitiful state of US infrastructure and the skyrocketing US national debt, facilitating government grants for research which produces no value for taxpayers is an outrageous waste of money. I have no problem with scientists like Jennifer Brown conducting their research, and saying whatever they want about their results. But it is about time scientists like Jennifer started raising their own research money. August 26, 2017 in Government funding of science, Government idiocy. Oh noes!!! Government Shutdown Imperils Earth’s Magnetic Field!!! A more useful approach would be to simply not fund any research proposals related to “climate change”, “global warming”, etc. Basically the opposite of previous policies that incentivized linking any grant proposal to climate change no matter how tenuous the connection. Applicants would learn to accommodate (game) the new system in short order. Yup. A scientist could, and should, have the freedom to say whatever they think about their results. What they do not have, is freedom to say what they want in pursuit of funding. Or, rather, they should not expect to get funded if they do choose to say whatever they want. This has certainly always applied to scientists who didn’t choose to blame everything on global warming, so it’s time for the Jennifers to wake up and smell the coffee. The idea deserves a plus 1 from me as well. The simple solution is to not allow government grants for any project for “global warming” or “Climate Change”. Let them world their requests how they wish just to bring light to their intentions. Agreed. A scientist’s interpretation of data should be inviolate. If someone like Mann wants to take tree ring data from a couple trees in a geographically isolated region, run his analysis on it, and proclaim “global warming”, I have no problem with him doing so. Of course, as with every other branch of science, the data should be made available for confirmation, not protected like trade secrets. I have a huge problem with anyone altering data to fit their theories (NOAA, et al). I’m a working scientist under licensure from the state. If I alter data, it would mean discipline including loss of license, and if the data alteration was serious enough, criminal fraud charges. Why do climate scientists and their disciples believe altering data is not fraud? Richard, I agree with your statement about Mann. But, as you said, “…the data should be made available for confirmation…” I would add that no paper should be published without the data and code being immediately available, and any conclusions of the paper may be considered as nothing but possibly interesting conjecture until independently replicated. I agree with Joe Shaw and Michael Hart. Personally I do not support the idea of AGW because of past geological evidence of varying temperatures through time, without human intervention. Moreover, I am totally unaware of any real physical evidence of AGW, but tampering with a proposal is not a suitable response, regardless of the intent. A more useful approach would be to simply not fund any research proposals related to “climate change”, “global warming”, etc. Reviewers of grant proposals see the phrase Climate Change, Global Warming, Carbon Sequestration, etc. and they go straight to the rejection bin. The Trump administration needs to hire good gate keepers. I think that is what is happening Politico reported that “the Office of Management and Budget, led by Director Mick Mulvaney, published a four-page memo—dated August 27—that lays out the administration’s research and development priorities for fiscal 2019” The priorities were quantitative research at earlier TRL levels and did not include any mention of ‘global warming’ or ‘climate change’. I suspect that the DoE staffer involved realized that including ‘climate change’ in the research funding request has changed from a sure thing approval to a rejection and has been advising researchers like Bowen of this. Anyone who has done research in academia knows that there is continual attention by University ‘Grants Offices’ to particular forms of words that will lead to funding or lead to rejection. If a series of projects has been carried out with a particular government entity similar advice may be passed down – which appears to be what happened in this case. They advise Dr. Bowen how to get a grant. Horror! How do they dare? Got to see the humor in it…. Aren’t you confusing CAGW with Citizens Against Government Waste? Oh, maybe it’s the same thing. And what the heck is Dept of ENERGY doing funding something called “Facilities Integrating Collaborations for User Science”?? What is the purpose and essential governmental function of such a nebulous program? Where is the Congressional mandate for such work, as well as appropriation of funds? If only the administration would dismiss all current members of grant-approving boards and replace them with 10% as many engineers, it would be a start. In this case, why is the Department of Energy funding research on marshes? How else can you drain the swamp? Since when did skeptics have a chance to obtain funding from the Obama administration’s DOE? 1. Please precisely and completely define this term. 2. If you cannot prove causation to a measurable degree of a meaningful effect of this “driver,” your proposal will be highly unlikely to be approved. What term now to be used for “global warming” or “climate change”? “Erratic temperature rise”? Answer: (given that those terms as commonly used now include the understood clause “human-caused”) Something we made up to justify your paying us money to “study” it or to produce a product for which the demand is too low to sell enough units to break even at this time or for the reasonably foreseeable future. For me there is nothing even near humorous in this issue. You have federal employees, basically un-fireable, helping friends on the outside ensure they get federal research dollars, our tax dollars. Having run a research grants program in my state, such behavior by our staff would have been grounds for personnel action and worse. The mousetrap here is the assertion that the impact of nitrate enrichment, e.g., fertilizer runoff, on carbon storage in salt water marshes is “a critical climate change driver”. Bowen is seeking to use the banner of climate change to make research critical to her career seem critical to all of humankind. Did anyone see the screenshot of the email? It seems that climate change was all that was highlighted and was not a part of this study. “Carbon sequestration”, huh. What a nothingburger that is. As if it is somehow a good thing, or if it even matters one iota for either the earth or for mankind. Carbon sequestration is one of the most likely reasons for extinction of life on Earth – that makes it relatively important. If CO2 is sequestered by mankind’s stupidity or by millions of shelled animals reducing atmospheric levels to 180ppm or less then plants start to die, at below 150ppm most plants die followed by mass extinctions including the human race. The ideal level for atmospheric CO2 appears to be above 1000ppm. So carbon [dioxide] sequestration must be prevented at all costs! Plants managed to adapt to catastrophically declining CO2 levels after the Eocene maximum by evolving CAM and C4 pathways in a number of lineages. To Gloateus – I’m not sure that adaptation means that modern plants wouldn’t still do better in a higher CO2 atmosphere. There must be a reason why greenhouses pump carbon CO2 into those structures.If he only purpose was to raise the temperature of the greenhouse, there are less expensive ways to accomplish that. Evidence indicates higher CO2 means plants grow healthier, larger and more abundant. Abundance of plant life results in healthier, larger, and more abundant herbivores, as well as healthier, larger, and more abundant carnivores who live off the herbivores. However carbon depletion of soil also yields greater erosion ,runoff and poor water holding characteristics,all of which reduce productivity. Australian soils are heavily carbon depleted. Improving carbon content is a win for farmers, animals that graze as well as cropping. Without subsidy , it is a logical way to promote better farming practice. There will always be the rent seeker that wants subsidy to save the planet. However they need to do it to save the farm. While the sentiment is admirable, I don’t think removing keywords will change the grant giving much. The trough will still get filled with slop and the troughers will dine as fast as they can. Consider the long term bright side for a moment. Key words are easily identified, and the application is patently about watching carbon un-sequester itself (or not) as if that mattered these days. It is sunk up to its eyes in AGW memes, easily recognised by the core activities of the proposal. Banning key words will not change anything. They need to filter out really good applications for energy research and pass them up for favourable consideration. Even the cyanobacteria troughers are better off building troughs than worrying about sediment carbon for the past 3000 years. If they want to research carbon, look into turning plastic waste into gasoline. That will forestall people 3000 years from now digging through our sediment worrying about the loss of sequestered polyethylene bags. Its 180 degrees, anything that said Global Warming was funded..it will take time for these scientists to learn, but it was so easy. What are the current magic words that will ensure approval?? Well, back when I was in Graduate School in Biochemistry some 40 years ago the key word was cancer as in curing cancer. We developed some chemicals to test for enzymes we were working on. I know some of my major prof’s articles talked about the usefulness of these chemicals in diagnosis of cancer. Worked too. one of the research chemical companies produced and sold the chemical for many years and it still may be in production for all I know. That was the experience in examining feline urinary tract syndrome [FUS]. Once it was said that this was a good model to find the cause and treatment of transitional cell carcinoma of the bladder in women,ie finding the ‘cure for cancer’. Now we know a lot about cats’ lower urinary tracts.. I believe it would underline the spurious suggestion that the Earths climate is dependant upon mankind! No, no, no; I hate to say it (actually, if I did ‘hate to say it’ I wouldn’t be saying it right now), but you’re quite wrong. There is absolutely no reason for the government to reduce or stop funding research in favor of a crumbling infrastructure. I’ll argue my foregoing viewpoint with a simple question: Do you know any private jet owner who has been delayed or even minorly inconvenienced by crumbling infrastructure? We know the answer: No private jet owner has experienced any problem whatsoever due to infrastructure. How about another question? Do you know any luxury yacht owner who’s been even faintly troubled by crumbling infrastructure? Of course not; those airports and harbors are fine and dandy. Now, I know what you’re thinking: Doesn’t that jet or yacht owner have to use the crumbling roads to at least get from their jet(s) or yacht(s) to their mansion(s)? No, they don’t. They just use a helicopter like Leonardo DiCaprio did recently to get to the airport from the French vineyard on which he was ‘solely’ investigating the effects of AGW [only tangenitally (maybe not a spelling error) for the potential tax write-off]. You see, the roads and bridges are only for us rubes in flyover country. Ah, but what about the gozillian deficit? What about it? Just call up your broker and have the currency shorted. Why you call her on her first name? Trump has made it clear that his administration does not support CAGW. I think it was a courtesy to tell the writer that the proposal was in jeopardy due to wording that contradicts this stance. Personally I believe the proposal should have just been ignored….. along with any others that support CAGW. Eventually the grant/proposal writers will get the picture like the skeptics did under the previous administration when they were just looking to have a voice in the science and not even asking for government money. In the final analysis, Science is about the proven ability to predict. And that is something ‘man-made global warming’ proponents cannot do – predict – because there is no such thing as anthropogenic global warming. It is literally impossible and violates the laws of thermodynamics and physics. But, what is really going to put an end to the last 30 years of the man-made global warming ideology and fiction is the arrival of the weather of Global Cooling, which begins officially in mid-December this year. 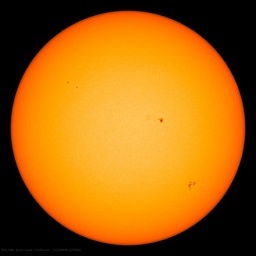 As the Sun readies to enter its Grand Minimum, the next three straight decades will feature what amounts to a little ice age for everyone to face – like it or not. This will bring a total end to the pink-elephants-can-fly ideology of CAGW. The worm might already be turning. We won’t know for sure for a month, but it appears as if 2017 will mark the first time since 1979 that Arctic sea ice has not set a new, lower low maximum in five years. The low of 2012 is liable to remain the record, barring freak storms in some future year. There have been a couple of instances of five years without a new record low, but never six before. Of course, rising CO2 in fact had little to do with Arctic sea ice decline from the 1980 high in the dedicated satellite record to 2012 low. And continued rise has not led to a new, lower low since 2012. I should add that the 2012 record has remarkably held despite the super El Nino of 2015-16, although last year did challenge 2007 for second place. And what do you think she is doing? For a long time now, at least 30 years, politics has influenced wording of research proposals. For example, we are told by the NIH or NSF not to include our research creature because members of congress think we are doing research to cure fruit flies or mice. Most of them don’t know that figuring out how to cure a mouse disease might help to cure a human disease. Whatever. People are stupid. Especially most of the members of congress. Having worked for a substantial part of my career in a Federal Budget Office, I can vouch that wording has been influenced for decades longer that that. There are very limited funds available. Departments and agencies typically send in requests for more than ten times the money available. Some departments seriously believe that if they flood the Budget Office with requests, that the Budget Office will approve a “percentage” of the requests providing the requesting department plenty of money. Yes, lots of requests are submitted in baffling doubletalk and zero solid knowledge; e.g. “research critter”. Try reading hundreds of budget requests per day, over weeks; badly described, badly written projects, then perhaps you’ll understand why Budget employees have little patience for illusionary bare bones descriptions for funding/approval requests. Soon after Budget employees suffer through thousands of pitiful descriptions, there are follow-up meetings with the executives in front of Senior executives. Executives are expected to defend the projects still under consideration for which their departments have requested funds. Most executives dislike wearing egg on their faces when asked why they want funds for badly described projects; especially if they know less about the budget requests than the word poor project descriptions. Occasionally, Senior executives request that original budget requests be read out loud; for educational purposes and teaching moments. Executives appearing ignorant of project details and what a project’s prior expenditures achieved can expect greater cuts in their funds. “Buzz words” have always been popular with many people believing that using certain words would ensure their quick approval for their project. Only during the Obama Administration were “buzz words” officially endorsed and rewarded with easy funds. A Budget Office’s normal response to “buzz words” was a quick discard to the circular file. etc., and all other frivolous words. The word “Climate Change” is highly mis-used, majority of times as an adjective and even “global warming” is referred as “climate change”. Just more fake news and over-reacting put upon elitists, who have been used to getting their way in everything. Also known as “Looking a gift horse in the mouth” or “kick a sleeping dog”. That is known as “friendly advice” in all parts of the world. Now that Dr. Jennifer Brown has urinated in the approval agency’s coffee and called the representatives “censors”; it is highly unlikely Dr. Brown will get more friendly advice or easy approvals. Dr. Brown has also pointed out to the Trump Administration employees who are acting with favoritism towards projects and/or people. Clean this swamp!! Start with “DOE JGI User Programs Deputy Susannah Tringe.” and check all subordinates failing to follow proper review protocol and procedure. re the “seal of the U.S. Dept. of Energy”: How about swapping its fearless,clear-eyed eagle for a cowering, hands-over-eyes monkey? Ditto for other agencies etc. using similar seals. Wait a minute. We have been told that “the science is settled, the debate is over”. If that is the case, why should taxpayers fund any further research on the topic? The absolute hypocrisy just can’t be over-emphasized – for generations now, she and her cohorts are the ones who practice censorship, but accuse the opposition at the drop of a hat. It just can’t get more typical.